Our country’s engineering-based national event Turkey Engineering Career Fair (TECF); provided companies and public technology companies operating in the field of engineering, industry and technology and the engineers of our country to meet together BJK hosted at the Vodafone Arena on 14-15 November. TECF, is aiming to provide equal career development oppotunities to all students whom educated as engineers in TURKEY, happened with participation of 133 universities, which 87 of them were from outside of the Istanbul. 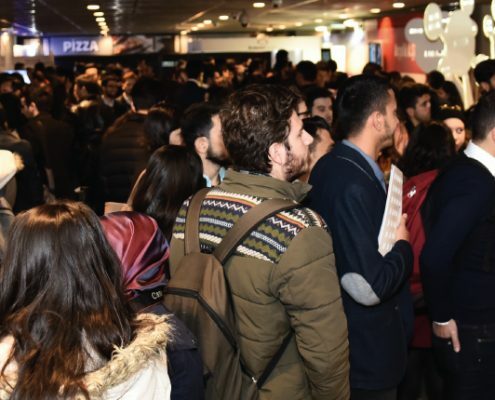 70 employer, which are pioneers on relevant industries, and wishes to explore the talent and bring to institution also wants too increase employer brand values have been visited by 4187 individual engineers/engineer candidates from 64 cities of Turkey, from TRNC and from abroad. 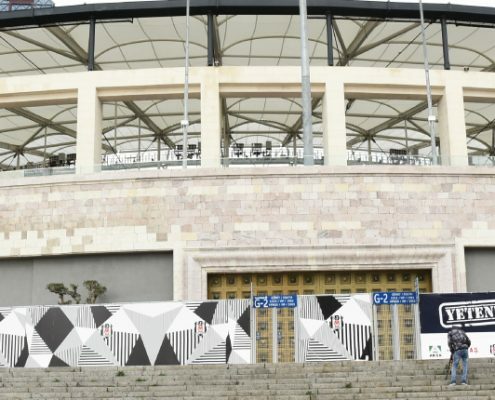 38% of the visitors were 3. and 4. grade students and 36% of them were new graduates. Yıldız Technical University was the most participating university with students and graduated visitors. Istanbul Technical University followed as second, and Istanbul University as third. In addition to fair stand visitations, seventy-four different events like some example case studies and workshops, tea-talk sessions, interview simulations, job and internship interviews were organized in scope of the fair with using Vodafone Arena’s two floors that contain approximately 3000 m² area. In order to organize these events, 28 lodges were used for two days. Companies that Aksa, Arçelik, Erdemir Group, Mercedes-Benz, Oyak Cement, Siemens, Turkish Airlines, Vestel, Vodafone participate the fair as Panoramic Lounge sponsors. Also, companies that Amadeus, Bosch, Cengiz Kolin Energy, Kastamonu Integrated, TURKSAT participate the fair as UEFA Lounge sponsors. So as to keep going interaction between firms and talents, a step was taken by Career and Talent Management Association that got firms and 4.0 talents together in TECF with their continuing motto which is ‘Talent 4.0’. Career and Talent Management Association decided to hold open for the whole year their Talent Portal programme which was opened for registrations and events of TECF’16 and preferred by 9473 students and graduated in only three weeks. 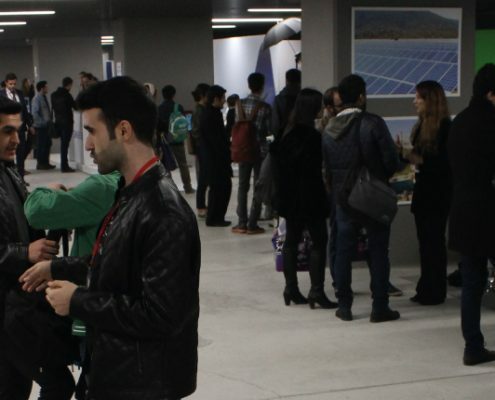 In this way, students and graduated which are from all corners of Turkey could share the same platform and look to job and internship announcements from the firms that participated to TECF’15 and TECF’16.